To those who are already familiar with the Faroe Islands this introduction of mine might sound a little boring, tedious and/or plain useless. However, because I’m not sure literally everybody knows a whole lot about the Faroes (I knew very little myself), I take the liberty of providing a (relatively) brief, but comprehensive overview of the ‘what’, ‘where’, and ‘how’ of the islands*. The Faroes are an archipelago of 18 islands located in the Atlantic Ocean north of the British Isles, south-east of Iceland and west of Norway. Here is an overview of all of them – well, almost. I won’t be dwelling on the islands I have yet to visit. If I did, I’d only be copying and pasting randomly collected information from guides and brochures, which is far from the purpose of this blog. I will mention all of them, though, so as to make my overview properly thorough. I will also include a couple of fun facts or especially relevant information, though, so as not to list the islands as mere items on a shopping list. Unless you reach the Faroes by boat, Vágar is the first island you will step foot on as you land: it’s the island of the (only) airport in the whole archipelago. Vágar might not be and look as remote and secluded as other major islands like Kalsoy or even the north of Eysturoy, but it does have its fair share of breathtaking views and spectacular nature. These include Gásadalur and Mulafossur waterfall, lovely Bøur, lake Sørvágsvatn and Trælanípa mountain (overlooking the ocean), the abandoned villages of Víkar and Slættanes in the north-west, which is also the most secluded area of the whole island. The westernmost island of all the Faroes is especially popular with tourists and hikers, and for all the right reasons: its location, its landscape, the hiking routes, namely the one that leads to the northern coast and to Mykineshólmur (a tiny islet next to Mykines, which can be reached by crossing a tiny bridge over the ocean) and, last but not least, its fauna: seabirds flock to Mykines to breed, especially in the summer months. Mykines objectively exudes a unique, almost mysterious charm. 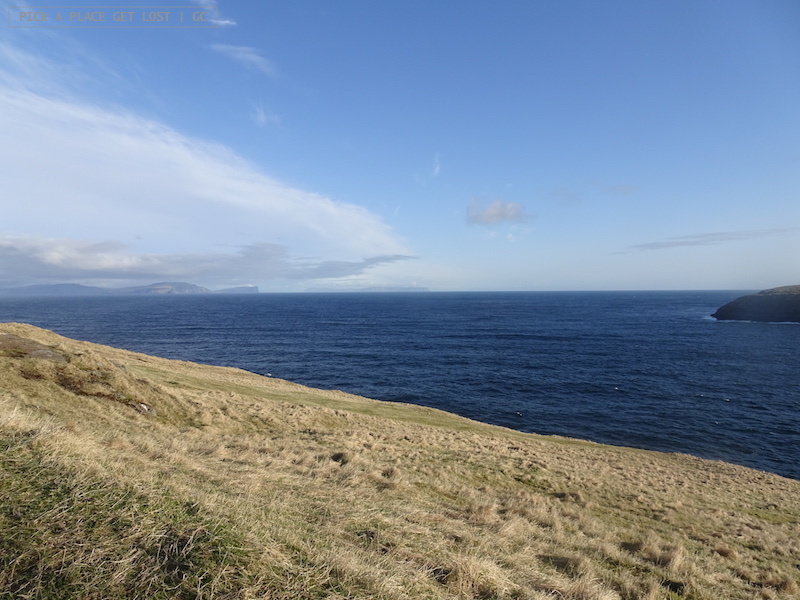 Blame it on the location itself, which makes it exceptionally remote, even by Faroese standards, or on the exceptionally ‘volatile’ nature of the (theoretically) daily ferry connection between Sørvágur (on Vágar) and Mykines. Bad weather is very likely to disrupt the ferry timetable and, with that, also the anticipation of many tourists eager to step foot on the island. 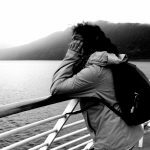 Ferry cancellations, in fact, are a rather frequent occurrence and can happen for several days in a row in case of poor weather conditions. Not even waking up to a bright, sunny day on Streymoy or Vágar is enough, if the day before the weather was bad. You might still get to the ferry stop in Sørvágur and find out the ferry has been cancelled because of the ‘leftovers’ of the storm from the previous day and breaking waves on Mykines coasts. The ferry staff in Sørvágur are constantly in touch with their counterparts on Mykines, who provide real-time updates on the feasibility of the ferry journey. 2. Still expect last-minute cancellations, even when the ferry seems to be initially confirmed. Well, it’s all part of the charm of Mykines, I guess. Streymoy is the largest of the Faroes. It’s the island of the capital Tórshavn, so it’s where most bus connections irradiate from. Top highlights include the Vestmanna bird cliffs (in one word: WOW), fishing villages here and there along the coast (e.g. Saksun and Hvalvík), fjords, and a number of hiking routes that won’t leave you disappointed. Streymoy is also the departure point of boats sailing to the southern islands: Nólsoy and Suðuroy from Tórshavn, Hestur and Sandoy from Gamlarætt (south-west of the capital). Koltur, Hestur and Nólsoy are the three small islands that lie off the Streymoy coast: Hestur and Koltur to the west, Nólsoy to the east. It only takes twenty minutes by ferry to reach Nólsoy from Tórshavn. The island has a harbour (not that obvious a feature), its own tourist office, and a few shops. Overnight accommodation is available as well. Add to it a few great hiking options, monuments and houses of historic importance, colonies of sea birds (especially storm petrels and puffins), and you’ve got the perfect day trip from Tórshavn. Tórshavn offers great views of Nólsoy from the coast. For example, if from the bus terminal you take the main road toward Skansin fort, and turn right at the first junction. You will see a grassy area next to a bus stop, right by the fort. Head over there, and you will have Nólsoy right in front of you. As with some of the northern islands (see entry below), the northern and western areas of Hestur are made virtually inaccessible by super high, steep slopes. The ferry itself, when able to sail, lands on the eastern coast. The island mostly consists of sheer cliffs and sea birds. Hestur only measures around 6 km2 and is home to around 15 people. With its 2 km2 and two inhabitants (husband and wife), though, Koltur is even smaller and ‘emptier’, so much so that even Hestur sounds large and ‘crowded’ in comparison. Koltur is the third smallest of the Faroes, but it’s amazing how, even on such a small island, some of the longest-standing Faroese traditions (farming and sheep tending) are kept alive and running by its (very few) inhabitants. In fact, the island has now gained the status of national park. I would love to visit Koltur, though it’s not that simple: the island is only reachable by helicopter on specific days of the week. 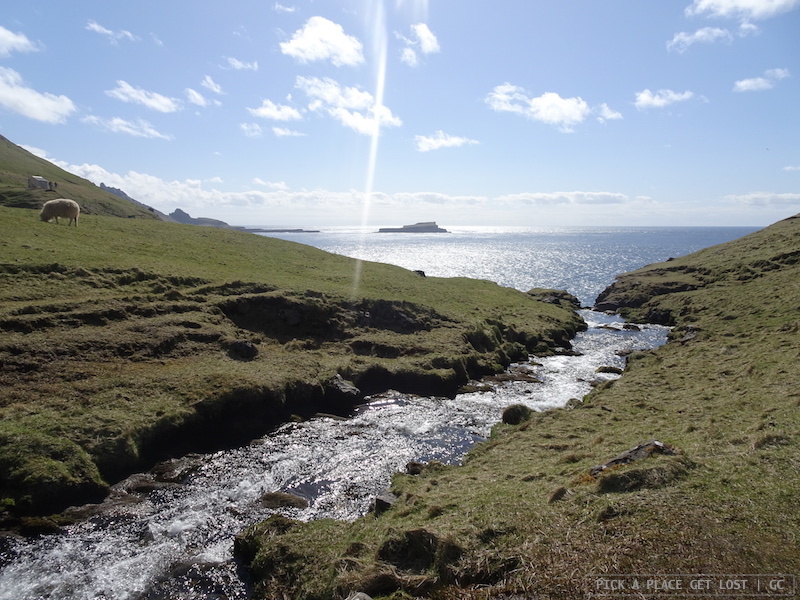 These are the five islands that make up the southern portion of the Faroese archipelago. The northernmost island is Sandoy. It can be reached with a 30-minute ferry journey from Gamlarætt. On average, its terrain and coastlines are much gentler and sandier than those of the others. Skúgvoy lies off the southern coast of Sandoy, which is where ferries and helicopter to Skúgvoy leave from. The island is quite small: it’s only inhabited by around 20 people. That, though, is a lot if compared with Stóra Dímun and Lítla Dímun, both located just south of Skúgvoy. The former, the larger between the two, can only be reached by helicopter, but the strong winds can make it hard for it to land. Quite unbelievably, it is inhabited: one family lives there. Conversely, the latter is not. Lítla Dímun is the smallest of the Faroes (1 km2), as well as the only uninhabited island on the archipelago. The boat from Tórshavn to Suðuroy sails past Stóra Dímun and Lítla Dímun along the way, which allows for great views of the two (visibility permitting). Alternatively, yearly boat trips allow to visit them, though the tours are rather expensive. For Lítla Dímun the tour is the only way to step foot on the island. With a population of 5,000, Suðuroy is the largest and most populated of the southern Faroes. There’s one road that cuts through the island from north to south, which also happens to be the only road on the island. Bird cliffs (like Eggjarnar) are a major feature of the landscape, especially on the steep western coast. Alternatively, there’s also a hiking route that crosses through the whole island, also north to south, but obviously does not coincide with the road. It’s as long as a marathon (42 km), and it requires two whole days. How cool is that. With Eysturoy the going starts getting a bit tougher. 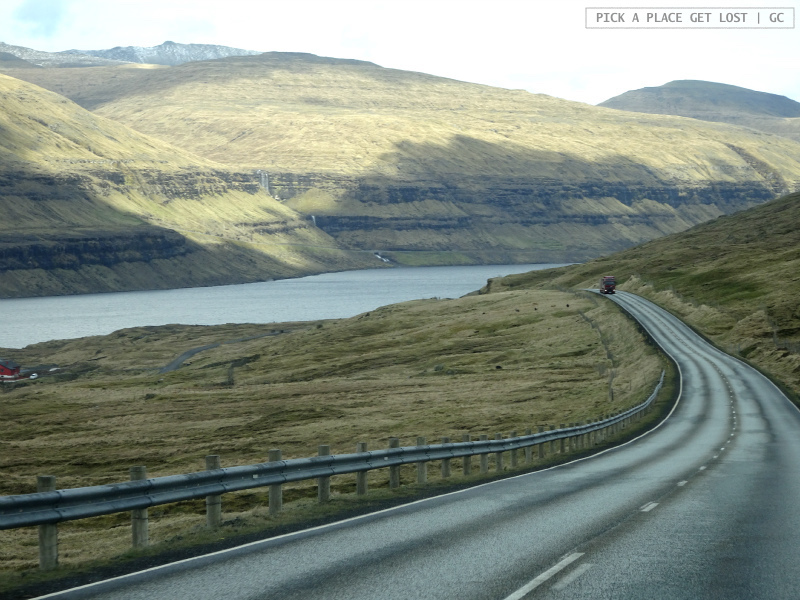 Unless you’ve rented a car, exploring the island might not be the easiest task, even more so if you’re based on Vágar. Bus connections do exist, and they are pretty good, but they’re not exaggeratedly frequent, plus the distance to cover to reach villages or settlements on the island might make the bus journey (very) long. – Gjógv, a magnificent village in the north-east of Eysturoy which might easily be mistaken for a painting: Faroese charm at its most beautiful. The northern islands really were out of reach for us this time: we simply didn’t have enough time to focus on them. Only reading about them, though, makes them truly appealing and unique. Some of them are still accessible by public transport on land. 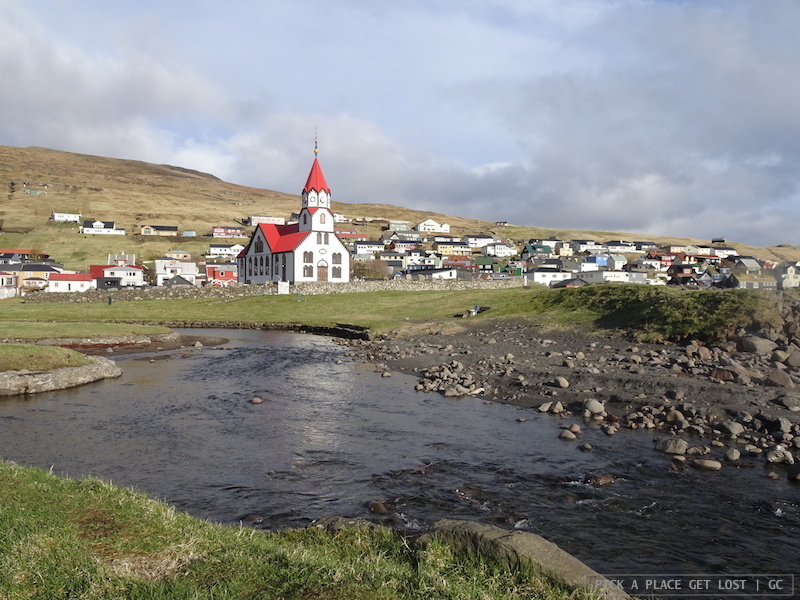 Take Borðoy, for example, where you find the second largest and most populated village in the Faroes, Klaksvík. Klaksvík is reachable by bus (and, if you plan it well, you can still make it a day trip from Tórshavn) and by helicopter (also a means of ‘public transport’ in the Faroes – see the dedicated entry below for details). Kalsoy we only glimpsed in the distance on our way to Gjógv, but it ranks very high in the to-do list for my next visit to the Faroes. The island, which enjoys good ferry connections to and from Klaksvík, is easily recognisable by its peculiar elongated shape. One of its highlights is the statue of a seal woman (called ‘Kópakonan’) in the main village, Mikladalur. Even from afar, though, mountain slopes and valleys easily suggest that there’s much more to Kalsoy than that. The other northern islands are comparably much more isolated and harder to reach. Kunoy is a case in point, with only very few villages and hamlets, and a western coast that virtually makes it impossible to live there: the mountain slopes are too steep and flat land is almost nonexistent. There are at least two reasons I would love to visit Viðoy. One is its northernmost point, the Enniberg sea cliff, a 754-metre high rock disappearing almost perpendicularly into the ocean. 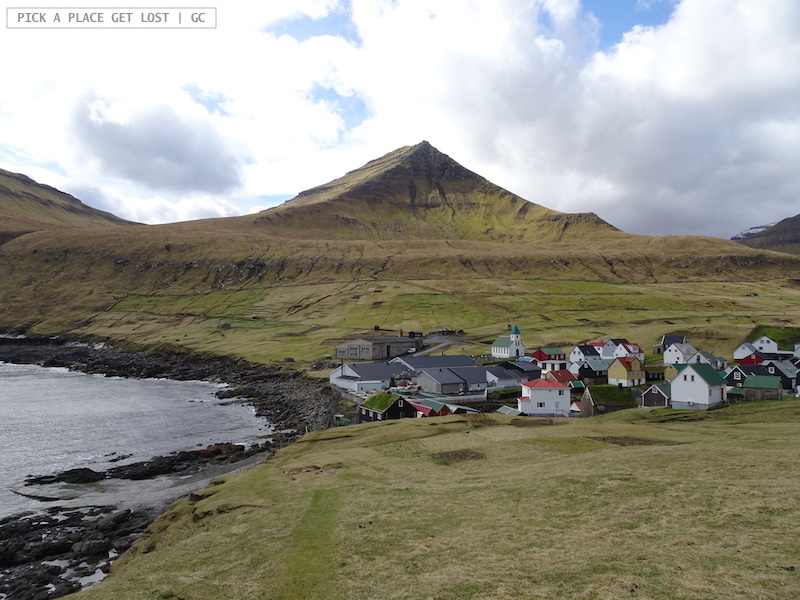 The other is the super tiny village called Viðareiði, which lies on the eastern coast, offers stunning views of the adjacent islands and is virtually the only area where agriculture is an option. The two most remote islands are Svínoy and Fugloy. Getting there promises to be an experience itself, what with the fact that neither island has an actual harbour, so, as I understand, you have to wait for the right moment and, well, leap ashore. It should also be possible to reach both islands by helicopter, though the feasibility of the trip obviously depends on the weather. As for the rest, secluded as they might be, Svínoy and Fugloy both have broader areas of flat land than the other northern islands. Faroe Islands are populated by around 50,000 inhabitants and between 70,000 and 80,000 sheep. 17 out of 18 islands are inhabited, but rest assured that, regardless of which island(s) you visit, free-standing rock you climb or hiking route you choose, you will come across sheep more often than people. 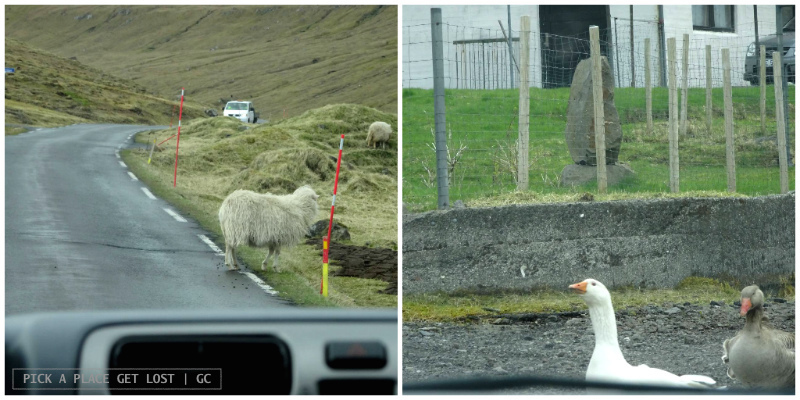 Or how to get around the Faroe Islands. Well, the options are: car, bus, helicopter and ferry. Renting a car is the most efficient and time-saving means of transport you can hope for. There’s a good road network (almost) everywhere in the archipelago, plus bridges and tunnels connect several islands with one another. Last but not least, having a car means you are able to reach small, isolated villages which are not served by public transport. – Buses do not run that frequently (i.e. roughly once every hour or two, depending on the bus), which might delay or disrupt your timetable for the day if you miss the one you really ‘had’ to take. – The bus network is efficient but, as mentioned above, restricted to limited portions of some of the islands. – Tórshavn is the first and last stop of many bus routes (e.g. to and from Saksun, Klaksvík or Vestmanna, to name a few). If you’re not based in the capital, this has two implications. 1. You will still have to get to Tórshavn (by bus) in good time for the departure of the second bus. Similarly, you will have to be back in Tórshavn in time to catch (at least) the latest bus from the capital to your accommodation. 2. The overall journey to and from your destination will be even longer than if you were based in Tórshavn, and the time available for the actual visit considerably shorter. Extraordinarily enough, the helicopter is a super handy, as well as ordinary, means of transport to move around the islands. The service is provided by Atlantic Airways, the national carrier, and by Faroese standards it’s also quite cheap. Make sure you familiarise with the timetable and the ‘logistics’ of helicopter travel, though. In particular, bear in mind that you can only buy one-way tickets for the same day: purchasing return journeys for the same day is not allowed. With some destinations (e.g. Klaksvík), you can choose to get there by helicopter, though other transport options are equally available. Others (e.g. Koltur) leave you no alternative: they can only be reached by helicopter. As for ferries, they mostly connect Streymoy with the southern islands and the northern islands, or the southern islands between each other. The main departure and arrival point on Streymoy is, again, Tórshavn, where the ferry terminal is in the same building as the bus terminal. Only ferries to and from Hestur and Sandoy depart from and arrive in Gamlarætt, which is located south-west of the capital. Conversely, ferries around the north depart from Klaksvík, while the ferry to Mykines leaves from and returns to Sørvágur, on Vágar. Talk about sheep. 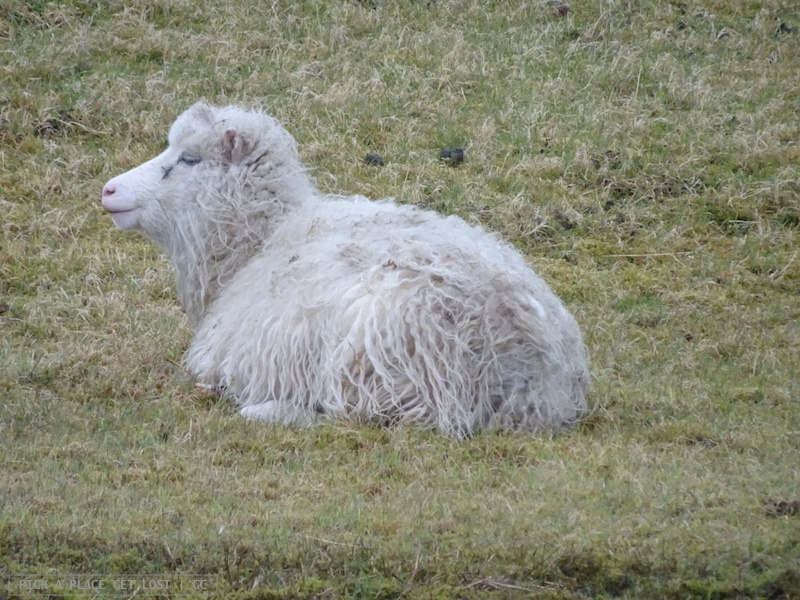 Sheep are an essential component of the Faroese fauna at all levels. They’re a key element of the landscape, a staple of the Faroese economy, and… well, they’re super nice and funny to look at, especially when they goofily slip underneath the guardrail after crossing the street, only to nimbly disappear down the slope. With them the phrase ‘act like they own the place’ is brought to a new level: they do own the place. When they stand or stroll down the steepest cliffs, they look like they’ve just won a competition against gravity. Our Gjógv guide told us that basically all sheep have an owner, but they’re left out and about the whole time: they usually stick to the area where they ‘belong’ anyway, and they cope well with the strong winds and the super changeable weather. The other most familiar sight are seabirds. I’m no bird expert, but even I was learning to distinguish between the most recurrent species when I saw a pair of wings flapping across the sky or quietly resting on the rocks. I’m growing interested in the subject. Seagulls, kittiwakes, guillemots, oystercatchers (the national bird! ), gannets, eider ducks, puffins… Well, that’s a lot of birds. Some of them can be spotted on all the islands, while others only inhabit some in particular (e.g. gannets on Mykines). Marine life is no less diverse and interesting. There are, well, lots of fish, aka the one and only true foundation of the Faroese economy (more about farming rings in one of the next posts). There are also several species of whales (of which only the long-finned pilot whale is hunted in compliance with a strict yearly calendar) and, though rarer, a few species of dolphins. The thing that struck me most when I read about the Faroes before going there was that ‘there are no indigenous trees’ there. Well, as I could see for myself, of course it was true. You might come across the odd tree here and there, but it’s not because trees grow naturally on the islands: they don’t. So forget all about forests, leafy trees and all of their friends: the Faroese landscape mainly consists of rocks and grassland. In fact, only some areas of the archipelago can be used for agricultural purposes. Also, as we drove to Gjógv, our guide explained to us the importance of driftwood. In the old days, when floating timber drifted ashore, it was so precious that it wouldn’t be burned, but it would be used for building purposes. I’m not sure this usage of drifting timber is still a thing or not, but i wouldn’t be surprised if it was, maybe at least in especially secluded areas. There’s one more thing you will notice: the recurrent presence of stone walls (or nets) on hill and mountain slopes. The walls mark the border between the infield and the outfield. The infield (or homefield) is the area immediately surrounding a village, while the outfield is the open outdoors. When you go hiking, you often find yourself crossing through the gate to the outfield not long after the beginning of the trail. It’s truly amazing how the Faroes bring the notion of ‘changeable weather’ to a wholly new level. Due to their geographical location, the islands are ‘at the mercy’ of the Gulf Stream, which explains how astonishingly quickly the weather might change by the minute. That said, not once have I experienced variable weather to this extent. Sunny weather might suddenly be replaced by fast-moving clouds, and… Oh, a shower. Which shower only lasts five minutes, and… Oh, the sun. But wait for it… Cloudy again- no, wait, a showe- no, it stopped, and, hey, the sun. I mean it, true story. Or, you might just wake up to a rainy morning, which then turns into rainy afternoon, and it doesn’t stop until, late in the afternoon, the sky opens up, and there is barely trace of all that rain. 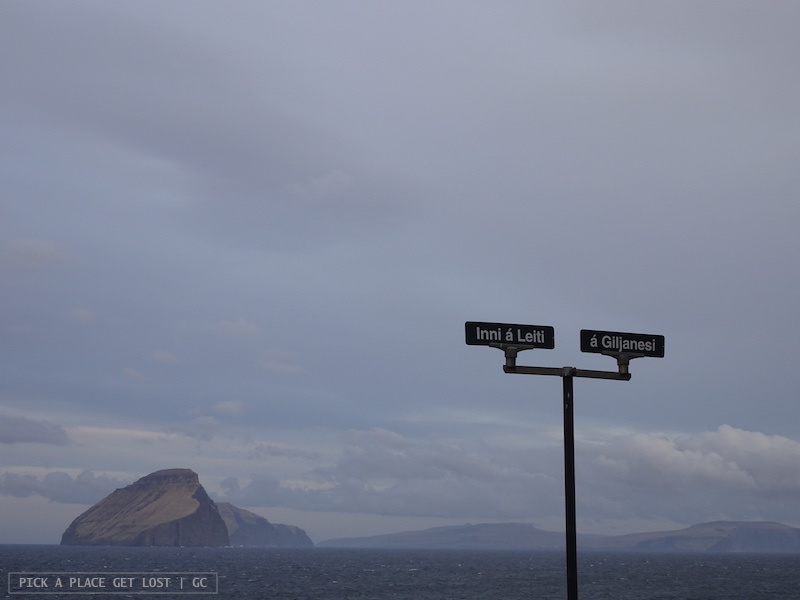 And that is why the Faroese landscape and weather can be summed up in the ‘three Ws’: Wild, Windy and Wet. There are several local agencies that organise half-day or one-day trips to specific areas of the archipelago (e.g. Vestmanna boat cliffs, Mykines, or northern Eysturoy) or themed visits about Faroese traditions (e.g. 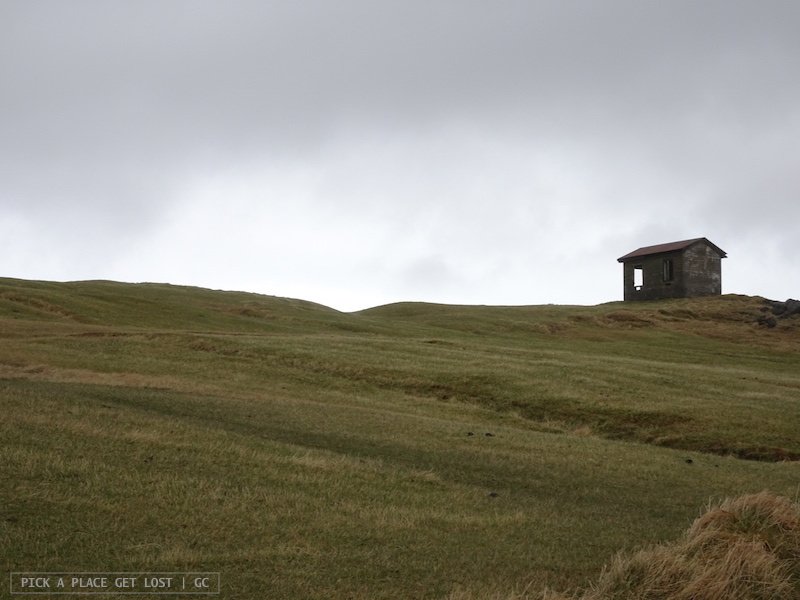 Faroese music concerts, knitting workshops, etc.). Some of the trips can easily be arranged individually (e.g. the Vestmanna boat tour or the ferry journey to Mykines). However, the guided tours might come in handy if you’re not renting a car (and that specific destination cannot be reached by public transport) or you simply don’t feel like arranging the trip by yourself. Day 1 – Car ride from Tórshavn to Gjógv (with intermediate stops along the way) and back, and visit around the Faroese capital. Day 2 – Hike from Miðvágur to Sørvágsvatn, plus walk from Sandavágur to Trøllkonufingur. Day 3 (Mykines trip epic fail no. 1) – Walk from Sørvágur to Bøur, Gásadalur and Mulafossur waterfall… and walk back to Sørvágur. Day 4 (Mykines trip epic fail no. 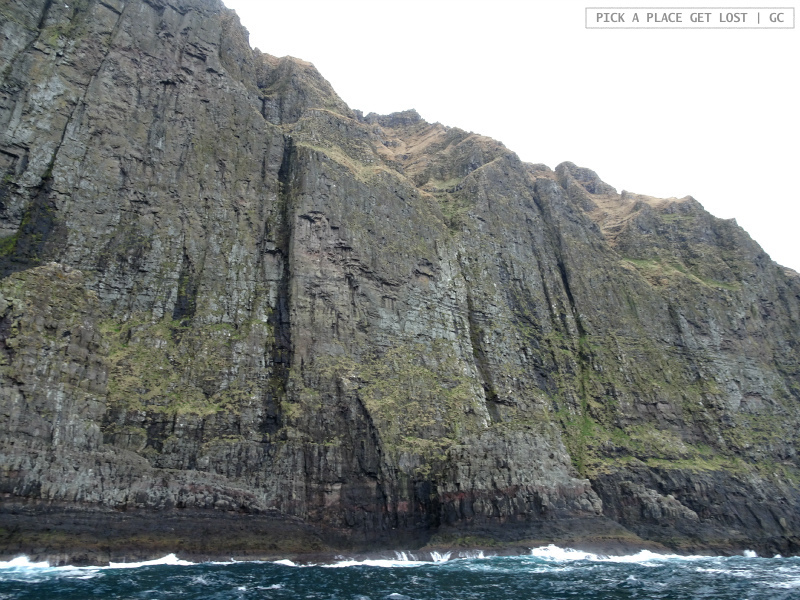 2) – Vestmanna and bird cliffs boat tour. As you might have guessed from previous remarks, no, we did not rent a car during our Faroese stay. It probably wasn’t the wisest choice, but I don’t regret it. We’re not used to car renting when travelling, and we knew we’d only be able to visit a small portion of it anyway (given the little time we spent there). So for our first time on the archipelago we agreed we’d make do with public transport and (with few exceptions) focus on destinations reachable by public transport. On our next visit we will rent a car and, hopefully, stick around for a little longer. Also, we were not based in Tórshavn, but on Vágar. Cosy Giljanes Hostel and Camping, situated halfway between the villages Sandavágur and Miðvágur just overlooking the bay, was our little home during our Faroese stay. * General information and (fun) facts about the islands (mostly those I haven’t visited) are partially borrowed from the Faroe Islands Bradt guide by James Proctor, as well as websites like Visit Faroe Islands. All opinions, though, are my own, nor is information presented as fact unless verified beforehand. This entry was posted in Faroe Islands and tagged faroe islands by Giorgia. Bookmark the permalink.